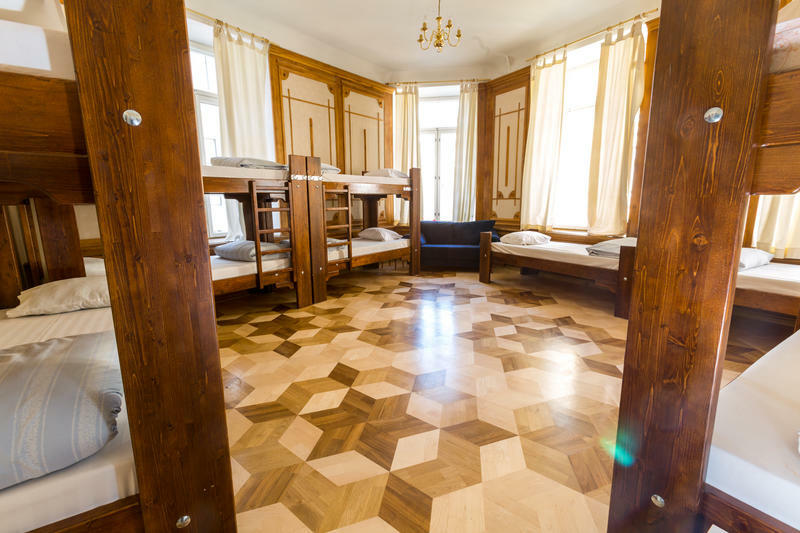 Being the biggest hostel in Tallinn, we comfortably can accommodate both groups and single travelers. We provide you with organized daily tours, bike rental, home made breakfasts, but also we organize spontaneous movie nights, or we will take you out for pub crawls, parties and events that might just pop up in Tallinn. You surely won't miss a thing! 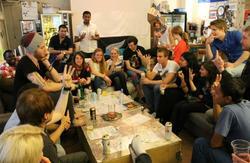 We have a cozy common room where all our guests and staff can mingle up to have fun, relax, play games or watch a movie. Also you will find there our brand new computers that you can use for free. 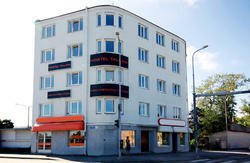 Our friendly, multi-lingual staff will do their very best to make your stay in Tallinn as pleasant as possible. They can also help you with advice on museums, shopping, international & local travel as well as ticket reservation, and Tallinns vibrant nightlife. There is 24 hour reception with no curfew or lockout, free wi-fi throughout the building and a fully equipped kitchen. Parking is available just around the corner. *** Note: Old Town Alur Hostel recently changed management and we worked very hard to make our hostel into a vibrant place with young, lively staff and great costumer service for both groups but definitely also single travelers.Please come to check us out and let us know what you think! In Tallinn, fares for all kinds of public transport (tram, trolley bus, bus) are the same. If you get a ticket in a Kiosk the cost of 1 ticket is 1 Euro. Ticket bought on board from the driver cost 1,6 Euro. Remember the number of the car that the operator tells you. The number you're told will be the same as on the number plate of the taxi. Walk toward the concert hall - 'Linnahall'. From there, go in the direction of the Old Town. 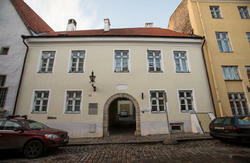 Cross the tram tracks and enter the Old Town through the Pikk Gate (right next to Fat Margaret). Once past the gate, take the first right you come across. Pass the church and turn left. You are now on Lai Street. Alur hostel is located just 150 m down Lai from where you are now, on the left-hand side. Exit the bus station from the main entrance and walk directly ahead to the T-section where there is a tram stop. Take tram #2 going to 'Kopli'. Get off at 'Linnahall' which is the 5th stop from the bus station. From here, just follow the same directions as above! If you decide to take a taxi it should cost you between 4 and 6 Euros. Bus #2 takes you to the seaport (terminal A). From here, just follow the same directions as from the seaport! If you decide to catch a taxi from the airport it should cost between 8 and 10 Euros. When you get off the train you should see the Old Town to your right. Leave the platform and cross the road or take the underpass to get to the other side of the main road. You are now on Nunne Street. Walk about 250 m down Nunne and turn left onto Lai Street. Just walk another 100 m down Lai and you'll see Alur Hostel on the right-hand side.